This is my favorite version of the PlayStation 1. It’s in newer systems, so the lasers are more likely to still be in good condition, but the system still has both the serial and parallel ports on the back. 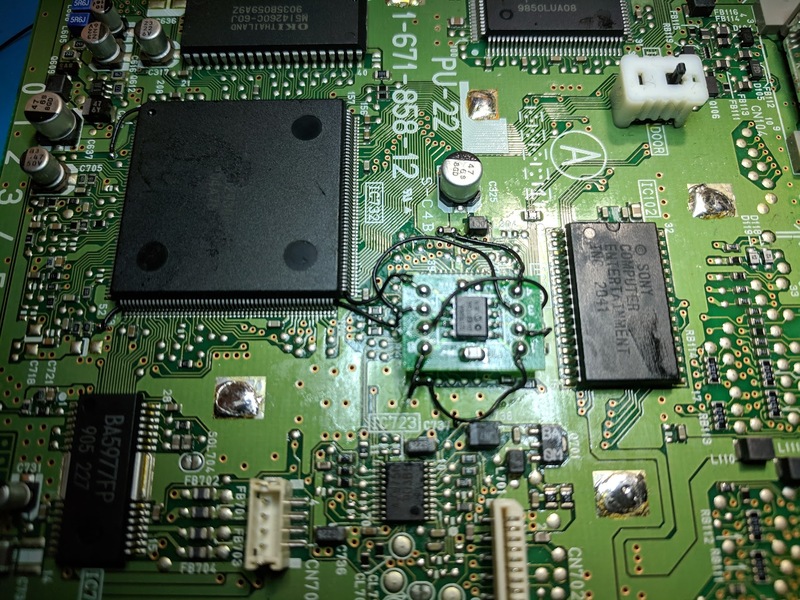 This board was used primarily with the SCPH-7500 series of systems. For more information about Mayumi v4 chips click here, for more information about PS1 modchips click here. Above is the diagram for the PU-22. Pin four is located towards the top left side of the board. This diagram is fairly straightforward. There aren’t really any tricky points, or surface mount components you need to solder to. 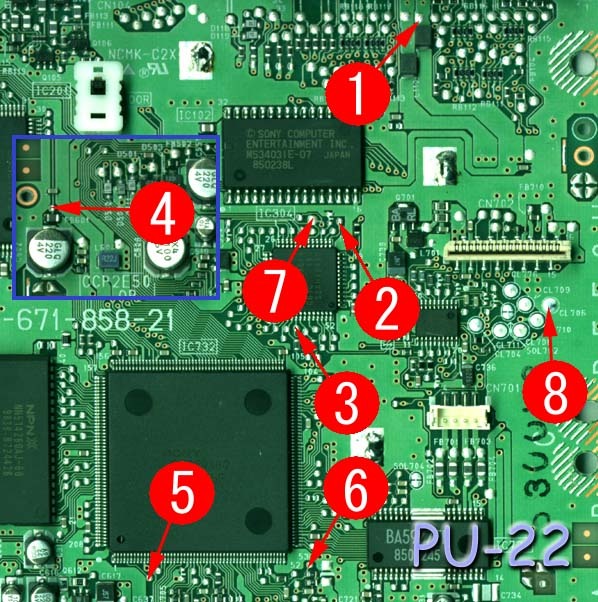 Here are some tips I have for you when you are soldering your chip into the PU-22. Cut your wires to be as short and direct as possible. The high speed clock line (pin 2) needs to be especially short and carefully routed. 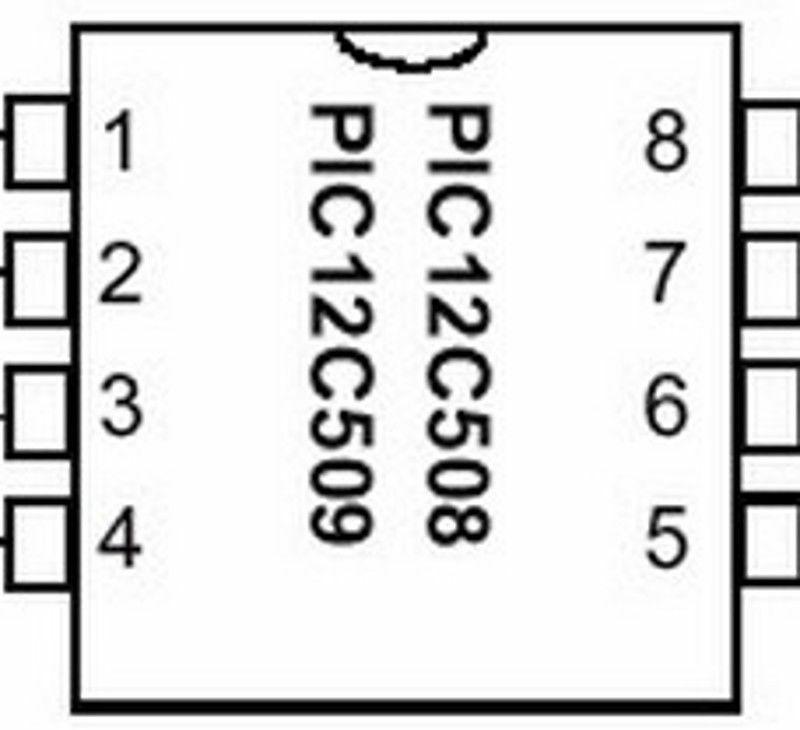 Pin 4 can either be connected to the pin 4 location in the diagram, or pulled high by connecting it to pin 1 on the chip. Watch out for solder splatter when you are desoldering the metal shield on top of the board. Placing the chip where the pin seven circle is seems to be the ideal location. Here’s a list of people who have successfully modded their console with this diagram. Leave a comment and I’ll add you to the list. This section has photos of some successful installations which you can use to get a better understanding of how everything is wired and positioned. I keep forgetting to post a pic of my install. Any tips for improvement?